The more the interpreters know about the context, subject matter, and terminology of your company, your meeting, and your participants, the better their performance. Meeting program, agenda, written speeches, Power Point presentations (with speakers’ notes), video scripts, participants’ list, and speakers’ bios. 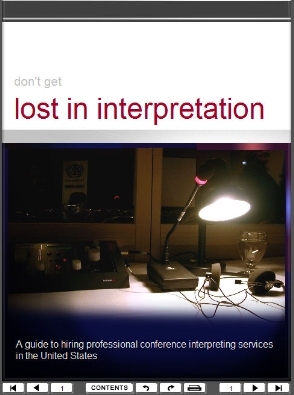 Schedule briefings between the interpreters and the speakers when the subject matter is highly technical. Include interpreters in rehearsals at “big-production” sales and marketing conferences with videos, film-clips, or other media presentations.